Assassin's Creed was released for the Xbox 360 and the Playstation 3 in November 2007 and made it onto PC and Mac the following year. Assassin's Creed takes place during the Third Crusade in the year 1191 CE. As Altaïr, a member of the assassin sect Hashshashin, players travel across the holy land visiting Jerusalem, Acre, and Damascus in order to find and assassinate numerous targets. All though the game focuses on Altaïr's journey, the premise is instigated by a sci-fi narrative hook involving Altaïr's ancestor, Desmond Miles. In the year 2012, Desmond Miles is kidnapped by a huge corporate conglomerate known as Abstergo Industries led by Warren Vidic and who influence the world from the shadows. They need to access secrets held in his genetic memory -- specifically, certain aspects of his ancestor Altaïr's life. They do this through the Animus, a machine that renders genetic memories into 3D landscapes. Unfortunately Desmond does not possess the confidence to step into the proper memory of his ancestor. Therefore, in order to increase their synchronization, Desmond must work his way to the target memory by carrying out nine assassination quests that were given to Altaïr. three tenets of the Assassin’s Creed to try and kill the Templar master, Robert IV de Sablé, who obstructs Altaïr’s quest. After being thrown through a wall, Altair is forced to escape back to Masyaf where he leaves his allies behind. He then returns to Al Mualim, leader of the assassins, who reveals that Malik is alive, but lost an arm and his brother because of Altair's arrogance. They do however, recover the treasure. As a consequence of his actions, the Templars attack Masyaf and lay siege. After Altaïr sets a trap and defeats the Templar forces, he is called to assembly by Al Mualim in front of the village. He is told he only succeeded because he followed orders, and goes to refer to the Solomon's Temple incident. As punishment for this Al Mualim, publicly demotes Altaïr after stabbing him, initiating his "rebirth" in the process. He then assigns to him nine assassination targets that he must kill throughout the game. As the game progresses Altaïr becomes aware of the fact that the men he was ordered to kill are all connected through the Templars, and eventually Desmond finds out that his captors are the modern day Templars. Later on, Altair finds out that Al Mualim, his master, is also a Templar and has been using Altaïr to further his own goals. Altaïr confronts Al Mualim and fights with him. After defeating his master, Altaïr acquires the Piece of Eden, a mythical object that can hypnotize the masses with mind control. Desmond learns that the activation of the Piece of Eden activated other pieces scattered across the globe and showing their location to him. Abstergo sets out to retrieve the Pieces. While the company initially intended to kill Desmond, a lab assistant named Lucy (who, it turns out, is really a secret member of the modern day assassin's guild) convinces them to let Desmond live. The story ends with Abstergo moving the Piece of Eden , leaving the story open for a sequel. It is also revealed that through overuse of the Animus, Desmond is able to use Altair's Eagle Vision ability outside of the machine. The game ends with Desmond using his new ability to see words and characters written in blood on the walls left by a previous test subject. Gameplay consists of climbing buildings, running across rooftops, blending in with crowds and engaging enemies in sword fights. Though it is very forgiving, Assassin's Creed is ostensibly a stealth game. If you are spotted by guards while acting recklessly they will get alerted and eventually give chase. Once you break the pursuing guards' line of sight you can lose them by hiding in stacks of hay that are placed around the city, ducking into rooftop gardens or sitting on a bench amongst other people. The "Leap of Faith" mechanic allows the player to jump from high buildings down into a haystack and stay concealed until the guards give up their search. High buildings have spots called viewpoints which the player can use to synchronize Desmond's vision with Altaïr's memory. This triggers a 360 camera rotation and uncovers previously obscured objectives, on the map. The free-running and climbing mechanics are simplified in such a way that they allow the player to jump and climb by holding down the run button and automatically grab onto surfaces, creating endless momentum. Every structure in the game can be climbed except for the outer walls of cities. Other aspects of gameplay include Investigating targets. Investigations have the player performing basic tasks such as pick-pocketing, eavesdropping or intimidating individuals through the use of force to gain their knowledge. The player can blend in with designated crowds by holding down a single button. With the use of Eagle Vision players can easily keep track of their target. Side missions have you completing tasks for other assassins such as collecting a succesion of flags in a rooftop race against the clock. The player can also travel from one city to the next through an area known as The Kingdom. Here, enemies are much more agressive but the player has the advantage of being on horseback allowing him to flee quickly should he get in over his head against enemies. In sword fights, Altaïr can lock onto an enemy but can block incoming attacks from other foes and finish them off. If timed correctly Altaïr can switched seamlessly from one enemy to the next. The game alternates between the two timelines and its respective characters through the use of Memory Blocks. These blocks are chapters from Altaïr's life that Desmond can access through synchronization but because prolonged exposure to the animus causes hallucinations (known as The Bleeding Effect) he is forced to rest in between chapters. At these designated times, players get to walk around as Desmond and explore small portions of the Abstergo Lab, get to interact with Lucy, investigate Warren Vidic''s computer or have conversations with the latter. Desmond often questions Vidic's motives and philosophical debates ensue between the two. Similarly, Altaïr questions the motives of his master Al Mualim and those of his own. As the game progresses, Altaïr is ordered by Al Mualim to assassinate 9 targets. All of whom, he is told, are evil and cruel and must be dealth with. Altaïr becomes increasingly confused and misled by the final words of the targets he assassinates. Their words often contradict their apparent lifestyles and cruelty which leads him to question his own beliefs and morals. The hidden blade is a weapon conceived for silent assassination and has been employed by the Brotherhood of Assassin's for centuries. Concealed under the wearer sleeve and strapped under the forearm, its mechanism allows the blade to be extended and retracted. In Altaïr's days, assassins had their ring finger removed in order for the blade to extend properly. In the game, players can approach targets from behind and employ the hidden blade for silent assassinations. It is equally possible to assassinate the target up front but this arouses suspicion more quickly. Nearby guards will investigate the situation or chase the player down to engage him in combat. Assassin's Creed divided the press as one of the holiday's more anticipated titles. 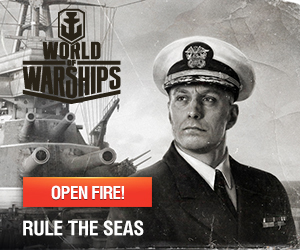 Some outlets (such as GameSpot) hailed it to be an extraordinary game and gave it "Triple-A" scores. Others believed that it was quite average and repetitive, and had been over-hyped by a manufactured press cycle. Scores ran the gamut with Assassin's Creed receiving 10s from some print outlets all the way down to a 4.5 from one of the three reviewers in Electronic Gaming Monthly. The game has an average of 80 on Metacritic, ranking it as an above-average title. The game similarly divided gamers, and the game's validity as a great product is still hotly debated. "Assassin's Creed has greatly out-stripped Ubisoft's sales expectations and currently ranks among the top two or three best-selling games for the PlayStation 3 computer entertainment system and Xbox 360 video game and entertainment system in the vast majority of geographical regions. In less than four weeks Assassin's Creed recorded more than two and a half million units in sell-through sales worldwide, and is the fastest-selling new video game intellectual property ever in the U.S. Consequently, Ubisoft now forecasts that it will sell a minimum of five million units of the game in 2007–08 compared with its previous estimate of approximately three million." The spin-off for the DS serves as a prequel to Altaïr's adventure in the console version. The game has also received recognition from Hideo Kojima and the team responsible for Metal Gear Solid, who have added a version of Altaïr's costume as an unlockable bonus in Metal Gear Solid 4: Guns of the Patriots. Ubisoft stated their desire to iterate on the franchise which came in the form of Assassin's Creed II and the games after it. A PSP exclusive version was released on November 17th 2009, titled Assassin's Creed: Bloodlines. The story once again follows the exploits of Altaïr and picks up right where the console version left off. This time, however, players will be in control of Altaïr only and won't have to bother with Desmond's role. Given the nature of the PSPs size the game won't encompass sprawling cities like its big brother console version. Instead players will guide Altaïr to the island of Cyprus as he attempts to dispatch all the high commanders of the Templars to drive them away. A PC only "Director's Cut Edition" was released and it included several added mission types that didn't make it into the final version of the game. In the opening cinematic, Altaïr used a crossbow that was originally going to be a weapon in his arsenal throughout the game, but was replaced in favor of the throwing knives in the final build due to historical inaccuracies. The game's timeline is around two months long, from July (after the Crusader victory in the siege of Acre) to early September (just before the battle of Arsuf). The phrase used by the Assassins, "La'shai sahih bel kullu shai'n mumkin," is Arabic for "Nothing is true. Everything is permitted." This is most likely from the 11th century Persian missionary Hassan-i Sabbah. Al Mualim, Altaïr's mentor throughout the game, is most likely based on Rashid ad-Din Sinan, a real person who allegedly ordered two botched assassination attempts on Saladin, the ruler of Syria and Egypt at the time. Altaïr's first name is derived from an Arabic word related to “flying” or “the bird”. His last name, Ibn-La'Ahad, literally translates as “son of none.” These two elements surface in Altaïr's character as his eagle-styled tunic and cowl, as well as being the child of both Christian and Muslim faiths. In an interview with Jade Raymond, she revealed that one of the main influences for the game had been a book written by Vladimir Bartol with the name "Alamut" which takes place in the very same castle featured in Assassin's Creed. Several of the game's characters resemble those of their counterparts in the book, although they are not named the same and the castle of Assassin's Creed very much resembles the descriptions given in the book. Even the game's tag-line "Nothing is true, everything is permitted" is a direct copy from "Alamut." The music for Assassin's Creed was composed by Jesper Kyd and it features lots of sombre choir use and some medieval eastern instruments. Assassin's Creed requires 6.7 GB (with the newest update it only requires 6.6GB) of space to install on an Xbox 360 HDD. 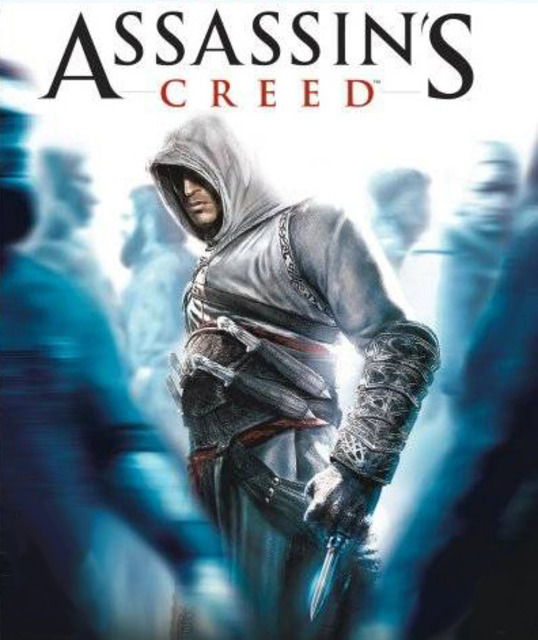 On August 6, 2009, Assassin's Creed became available on the Xbox 360's Games on Demand service. It costs $29.99 or 2400 Microsoft Points.